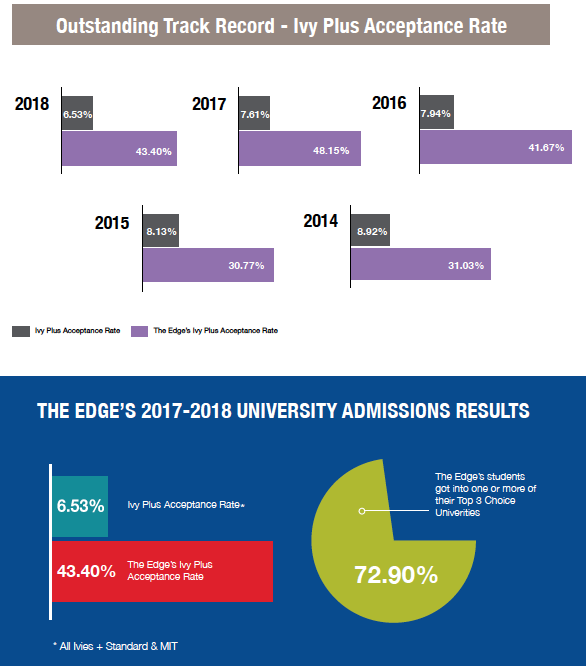 Whether you’re applying to Boarding Schools or Universities, The Edge’s Admissions Consulting team can help you succeed. Register for a Complimentary 30-minute Consultation Today! Want more insights on Admissions Consulting? Check out The Edge’s blog. Honed over years of research and practice, our unique approach helps students and families navigate the admissions processes of universities and boarding schools across the U.S., the U.K., Canada, Hong Kong, and other countries. Universities highly value students’ aspirations, and they want to help you achieve your goals. Using personality assessments and career interest databases, The Edge’s consultants help students define academic, career, and life objectives, as well as identifying universities that match those aims. All universities demand that students demonstrate academic competence, and every level of academic achievement requires students to overcome challenges. Our consultants help students maximize their potential and keep their options open by lining up appropriate academic and non-academic support resources. Universities view extracurricular activities as indicators of students’ passion, initiative, and commitment. By working with students to identify their passions, our consultants guide students in selecting and excelling in activities that fit their interests. With limited time for each applicant, university admissions officers look for applications that tell coherent and compelling stories. With comprehensive knowledge of different universities’ requirements, as well as nuanced understanding of individual students’ profiles, The Edge’s consultants help students tie together their academic and personal stories in ways that fit, both academically and culturally, the universities to which students are applying. Ultimately, applicants need a strategy to present their story of academic and personal achievements. Our consultants help students craft coherent application packages that best showcase their individual stories in the context of specific universities. The Edge’s Admissions Consulting team includes former Senior Deans of Admissions and Assistant Directors of Admissions, former International School Counselors and Ivy League University Professors. Together, we’ve seen over 10,000 applications and counseled thousands of students into the schools of their dreams. With truly global coverage, The Edge’s Admissions Consultants can help you where and when you need it. The Edge’s Admissions Consultants are spread across different timezones and different continents. Regardless of geographical boundaries and time differences, we are ready to assist you. One-time fee regardless of when you join so starts early!